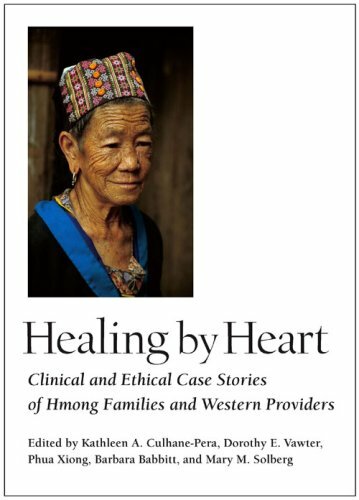 Healing by Heart is a book of stories--stories of people's search for culturally responsive health care from U.S. providers. It offers resources to providers and institutions committed to delivering culturally responsive health care, paying special attention to building successful relationships with traditional Hmong patients and families. It makes available extensive information about the health-related beliefs, practices, and values of the Hmong people, including photographs of traditional healing methods. Ranging in age from young infants to older adults, the patients in the stories present a wide range of health problems. The clinicians are from family practice, internal medicine, pediatrics, emergency medicine, surgery, obstetrics-gynecology, psychiatry/psychology, and hospice. Each of the fourteen case stories is accompanied by discussion questions as well as two or three commentaries. The commentaries--written by patients, family members, shaman, Western clinicians (including Hmong physicians, nurses, and social workers), medical anthropologists, health care ethicists, social workers, psychologists, and clergy--are rich in personal reflections on cross-cultural health care experiences. Readers are rewarded with a combination of perspectives, including those of Hmong authors who have not previously published in English and scholars with years of professional experience working with the Hmong in Laos, Thailand, and the United States. The editors offer a model for delivering culturally responsive health care with special attention to matters of cross-cultural health care ethics. The model identifies questions health care providers can focus on as they seek to understand the health-related moral commitments and practices prevalent in the cultural groups they serve, ethical questions that arise frequently and with great poignancy in cross-cultural health care relationships, and points to consider when a patient's treatment wish challenges the provider's professional integrity. The book arrived on time, and was in good condition as described by Amazon personal. Thanks for your excellent, hard, and honest work. There are slightly more than six million Hmong world-wide. Most Hmong today live in China, Laos, northern Vietnam, Thailand, and Burma and are all believed to be descendants of Hmong who originally migrated from central Siberia. More than eighty thousand have resettled in the U.S. This combination of history and anthropology provides a wealth of information about this little-known Asiatic culture. Emphasis is divided between an account of the workings of Hmong society, such as its shamanistic practices, and their 20th-century history, particularly the participation in U.S.-backed fighting against communist forces in Laos and subsequent flight from Laos to, among other countries, Thailand and the United States. 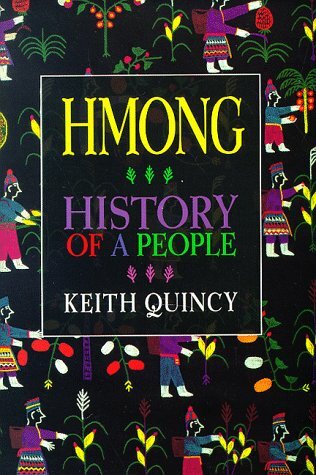 Like all the books about the Hmong, there will be at times glaring inaccuracies and mistakes in the material, and Quincy has taken a lot of heat over the years for his attempts to help the Hmong reconstruct their history, most of which was lost during the 4,000 years between their roots in ancient China and the 20th century. Considered by most to be one of the less reliable texts to work from, I nevertheless found many interesting elements within it, that, when combined with additional research, yields some fine and fun reading. It should definitely not be taken on its own- one should try and double check statements by using other materials, but most people who read this will feel inspired to study and learn more about the Hmong and their true histories, and that's not such a bad thing. As time passes I learn more and more about SE Asia and the US involvement there over the past many years.My daughter in law (daughter) is Hmong.This book revealed a great deal for me and opens my mind to questions regarding the Hmong,Laos, and the US.This book is well written, an easy read, but shares a great deal of information in its few pages.I recommend this book to anyone interested in SE Asia and the folk who live there. Okay.I don't like reading history books.But this is one book that you really need to check out.It isn't boring and if you are like me -- a Hmong American (of the newer generation obviously) and oblivious to the old generation and lacking in appreciation or knowledge of your background (if you are hmong) this is one awesome book that will set the records straight. As for those who are just really interested.. well! This will reveal what most of the population don't know about the hmong; their brief history of where they are originally believed to be from up to their involvement in the vietnam war as to where they are now and some cultural background, too.This is a really awesome book compared to most books written about the hmong people that i've gone through. Mr. Quincy did an excellent job on putting this book together.I have not yet read a book by anyone who would have gone as far back as Mr. Quincy did with this book.As a little Hmong girl growing up, I have always been curious of where Hmong people really existed from. My father tried his best to educate me on who we- the Hmong people were. Many of what he taught me seemed to be unreal, until I read Hmong: History of A People. It really shocked me that what my father was telling me was actually in print! My suggestion to all the Hmong people out there is that EVERYONE should read this book. There is not a doubt in my mind that you will not gain a better understanding of where you came from. After I had finished reading the book, I was shocked to know that my Great-great-great-great Grandfather was the "Hmong King"- Nhia Vue Lee. My appreciation goes to Mr. Quincy and his desire in wanting to have a better understanding of our culture.